We’re opening up our database of £4m of spending based on FOI request responses from 100 local councils and police authorities. As we reported last week, the responses contain some interesting budget decisions – from a specific staff position in one authority lasting 18 months to the excessive cost of bunting. What can you find in the figures? 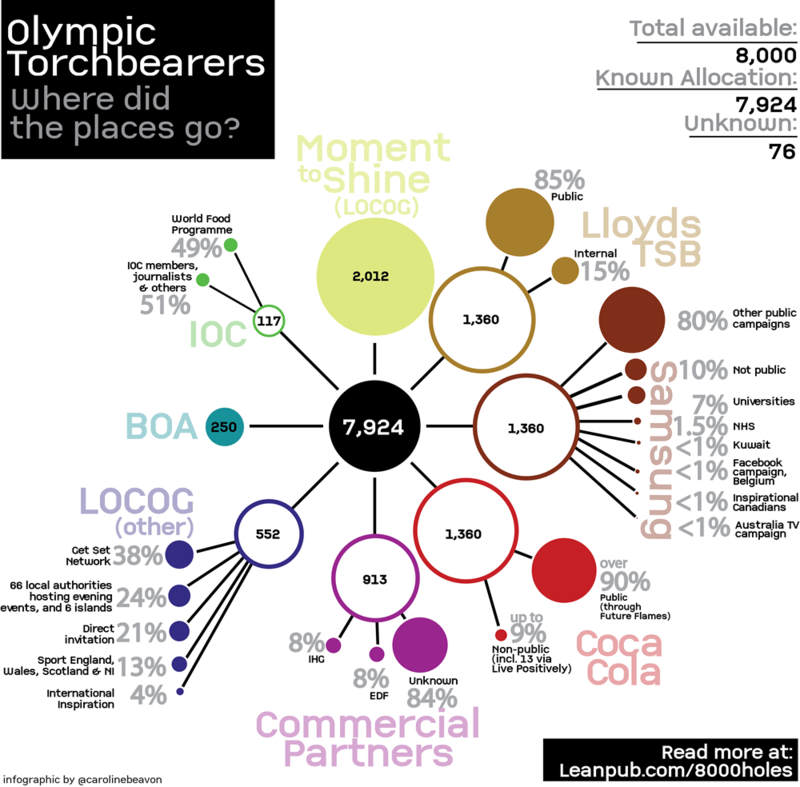 It’s now two months since we first gathered data on Olympic torchbearers. In that time people have appeared on the list and then disappeared, appeared late, appeared without stories, or not appeared at all. 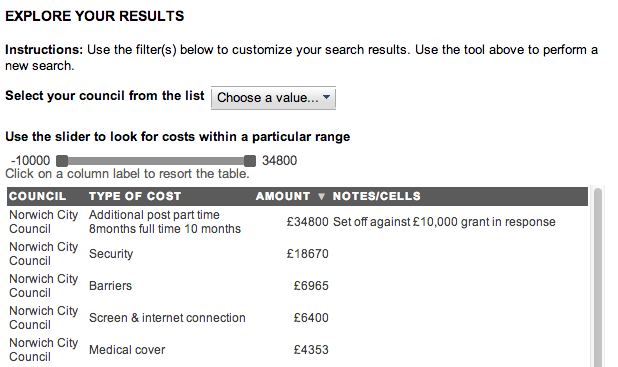 Here is the data gathered across those 8 weeks – 7,041 torchbearers in total. If you can do anything with it, let us know.